This past summer Kayla Cross attended the American Team Games in Florida along with 7 other Canadian high performance tennis playing children born in 2005. There were 60 children in all competing in this weeklong event. 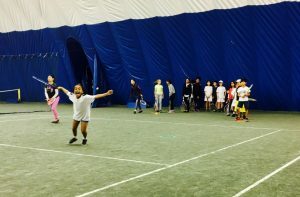 Of the 60 children, 4 were chosen at the end of the tournament to receive a Babolat tennis racquet and bag to “Play It Forward”. The four winners were chosen to receive this honour for their hard work, focus and good sportsmanship. 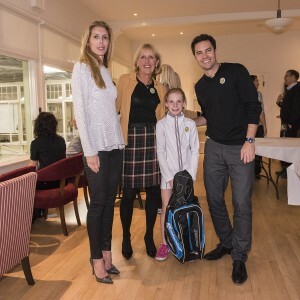 The winner would then select a child or charity that could put the racquet and bag to good use and give it away to them. Luckily for the Doug Philpott Inner City Children’s Tennis Fund, Kayla decided that a Philpott camper should receive her “win”. 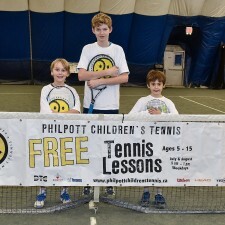 Selecting a single recipient could be difficult because there were over 8,000 campers in the Philpott tennis lessons this past summer. However Kayla suggested that the prize should go to the female Philpott camper enrolled in the 2016 program who has a birthday closest to her date of birth. If there are several girls who have the same date of birth, then a draw will be held on July 29, 2015. Huge congratulations to Kayla Cross for her win and kudos to her for choosing to “Play Her Win Forward” to a child in the Philpott program. 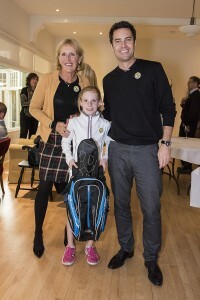 Thanks to her generosity some lucky young girl will receive her very own Babolat racquet and tennis bag.